9 Why have avocados become so popular? News agencies are reporting that coffee growers in Kenya are switching to avocados as the international demand for the fruit increases. Although accurate export figures are difficult to access, there are clear indications that there is a steep increase in avocado shipments from the central African country. AFP has revealed that across Kenya's ochre fields, farmers are switching coffee and tea for avocados in a bid to profit from increased European demand. One of these growers is Simon Kimani, 73, who tends two hectares of avocado trees. "Recently when the avocado trade started growing we thought that it was better to plant avocados, that's how I started," he told AFP, pointing to his first trees, planted less than a decade ago. Growers are reacting to the news that avocado toast is becoming a staple of European menus, as reported by food blogger Laura Hannoun. In Kenya, smallholder farmers grow avocados and sell them on to exporters. Kimani's buyer is Bernard Kimutai of Fair Trade Company Limited. 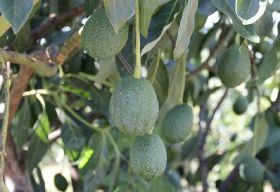 Kimutai has seen a sharp increase in exports of the popular Hass avocado in recent years. The World Avocado Organisation (WAO) announced recently that Europeans consumed a record 650m tonnes of avocados in the past 12 months, marking a huge 35 per cent increase on the previous year. They ascribed the fruit's continued growth to a greater number of successful partnerships throughout Europe. This summer the WAO collaborated with Tesco in a roadshow where avocado tastings were served to thousands of customers across the UK. The EU is one of the fastest growing markets worldwide and is already the second-largest consumer market in the world for avocados. In this way, Kimani produces around 28 000 avocados per year, and is paid the equivalent of a little over €0.1 each. “In European supermarkets, where they are sold alongside others from South Africa Chile, Israel and Mexico, they easily fetch ten times that amount, if not more,” says AFP. "One hundred per cent of (our) avocados are for export. We try to improve the quality to make sure that what we get from the farmer is 90 per cent exportable," says Kimutai, adding that any that do not make the grade are sold on to oil-processing companies.